The desert is a harsh environment. 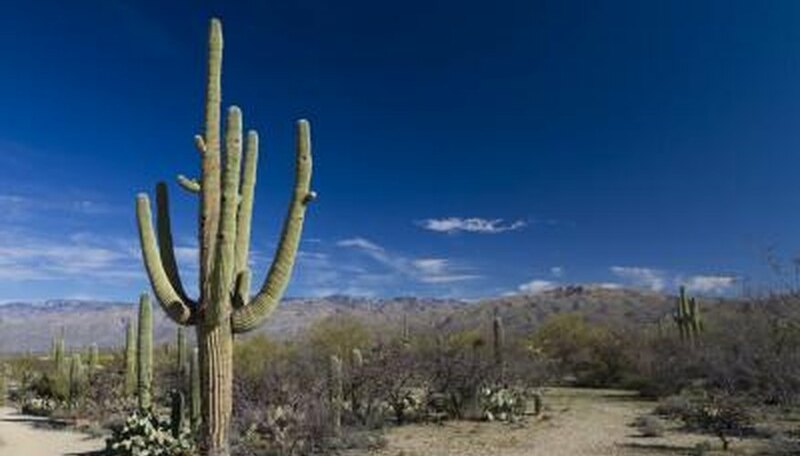 Organisms in a desert ecosystem adapt to survive the intense heat and limited water. Each has a unique system for survival, but some of the ways desert plants adapt are similar. 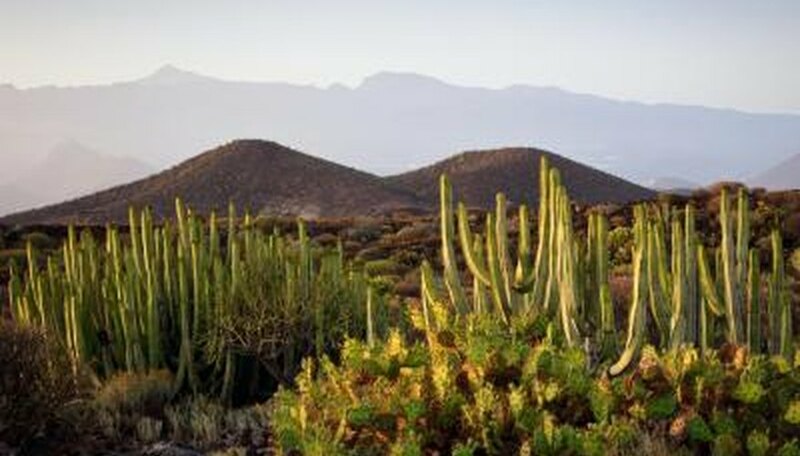 Desert plants' adaptations are centered around getting enough water. Plants adapt to be able to find and store water, as well as prevent water loss via evaporation. A necessity for any organism that is to survive in the harsh desert climate is water. Without water, the functions that support life in an organism will begin to fail and the organism’s life will be threatened. Plants have adapted in a number of ways that help them accumulate water. Plants in desert ecosystems are most prolific near riverbeds. Whether dry or wet, these areas often contain water underground and plants are more likely to survive if their roots can reach a reliable water supply. These are also the most likely places for water to accumulate in the case of rain. When the water comes, the plants will be there to receive it. Fog is also a reliable water source in deserts where the conditions are right for it. Air condenses to form dew in the cool mornings. The dew is captured on the plant’s leaves and hairs. Many desert plants have vast root systems, capable of reaching deep, otherwise unusable water supplies under the dry soil. Once plants have collected water into their bodies through various means, they must hold on to it, despite the intense heat of the desert ecosystem. Several adaptations have evolved in desert plants to meet this need. Most desert plants are inactive for much of the year. During dry periods they do not perform many water-draining functions such as photosynthesis. These periods of dormancy allow the plant to survive, though not grow or reproduce, during the most challenging months of the year. When plants do produce seeds, the new seeds remain in their protective coat much longer than in more temperate climates. During rainy periods, water dissolves the seed casing and the seed grows rapidly. Structural adaptations are also important to plant’s survival in the desert. Wax coatings on leaves prevent water loss through evaporation, which in the hot desert can cause loss of water from both the surface and the inside of leaves. Leaves are also smaller on desert plants, further reducing the possibility for water loss. Deciduous plants in desert ecosystems have adapted through the activity of their leaves. Leaves on these plants are typically smaller and coated with wax to prevent evaporation. In contrast to the annual loss of leaves in temperate deciduous plants, desert deciduous plants will lose their leaves as many as five times throughout the year, shedding them during droughts and growing new leaves when it rains. The plant remains dormant during leaf loss. Plants such as aloes are equipped with fleshy leaves that contain much of their water supply. Because of their moist inner bodies, these plants are called succulents. They typically feel spongy and when cut open are filled with a pulpy flesh, protected by a waxy outer layer. 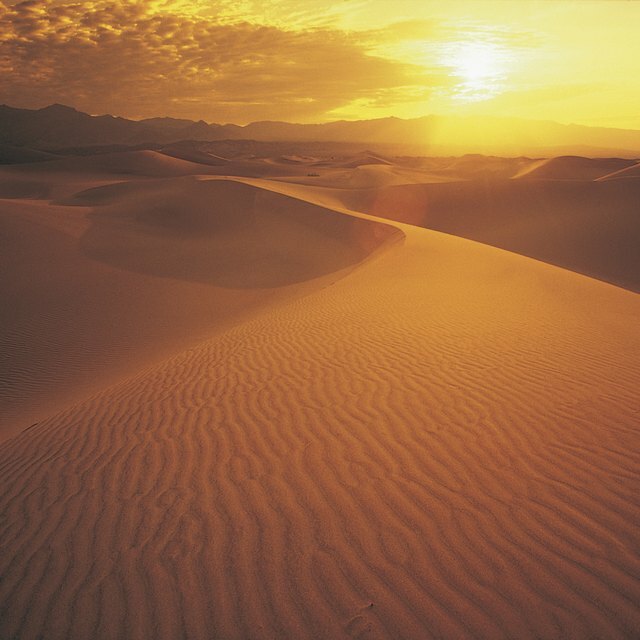 Many plants in the desert conserve water by not having any leaves at all. 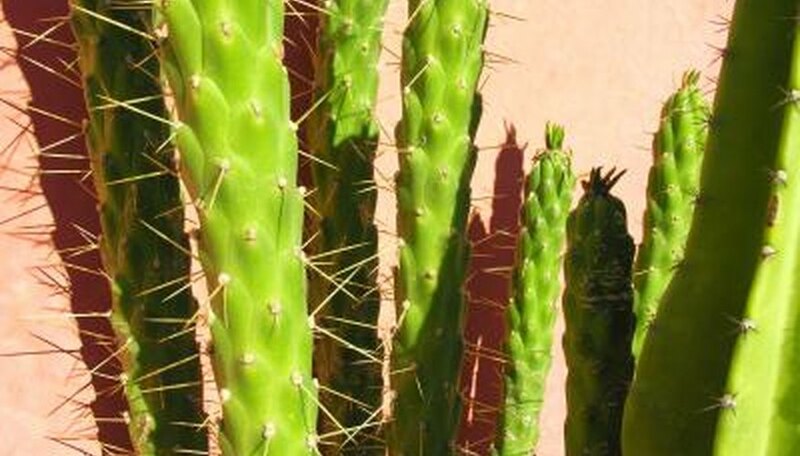 Cacti are the most prolific of this plant type. 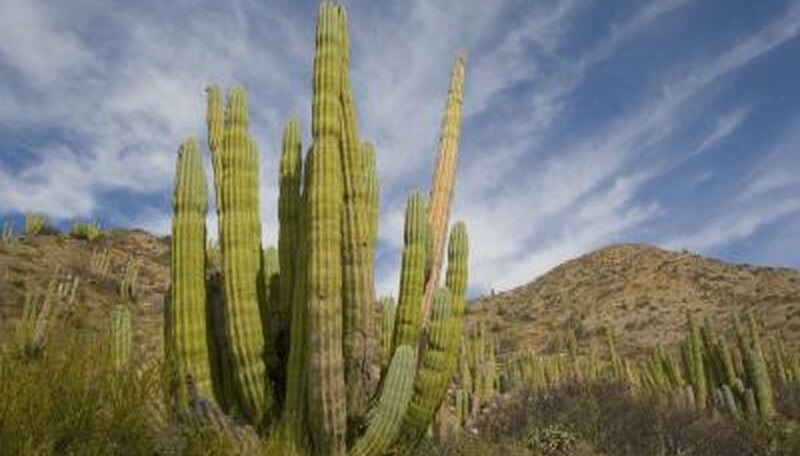 Many cacti have spines in place of leaves, which conduct photosynthesis and catch dew when the climate is right. These small structures also reflect light, further reducing water loss. During heavy rains, cacti will grow temporary root systems and absorb water. They will then shed the roots when the ground has dried. Jansen, Jim. "How Do Desert Plants Adapt to Their Environment?" Sciencing, https://sciencing.com/do-desert-plants-adapt-environment-6526946.html. 24 April 2018.